The new SPC rules for accepting party supervision of cases employs tactics familiar to building customer satisfaction to increase public oversight of the courts, improve access to justice and fight corruption; and that’s a good thing. Enforcement: the person requesting enforcement, the person being enforced against, and persons outside the case who have an interest in the enforcement [article 17]. Be pro-actively informed of case filing, case resolution, modification of targets of enforcement, the carrying out of enforcement measures, review and control of assets, and other critical information in an enforcement action. [article 4]. legal or procedural questions will be reviewed by the relevant departments. 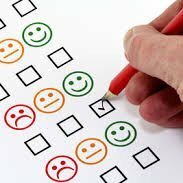 Follow up work: Another ‘customer satisfaction’ type measure introduced by the Provisions is conducting follow-up visits with some litigants to solicit feedback. Each year, a percentage of each court’s cases will be randomly selected for follow-up review, where the oversight department and case handling departments will gather information about feelings on the case and possible improprieties in the case handling. [article 8]. This follow up may be done by phone, in person by letter or other means. As with the feedback cards, parties providing feedback will be informed of how it was acted upon. In addition to the randomly selected cases, other cases of social importance or where violations were previously reported will also be slated for follow-up. [article 9]. The courts will analyze the data and revise their institutional review framework as necessary based on this feedback. [article 14]. In courts where there is no oversight department, the political department will perform these duties. Follow through work: Although some of the language in the Provisions are broad, and there is much room for discretion in their implementation at individual courts, there are also many reasons to believe that these rules will be realized in practice. First, the Provisions state unequivocally that compliance with these new procedures is to be included in the performance review system for courts and court personnel. [article 15]. Performance evaluation procedures, no matter how mundane, remain an immediate motivational factor for employees everywhere. Second, the Provisions are careful about their scope, giving salient case information to parties, but not requiring that information be made available to the general public- although for most cases there is no reason why it couldn’t all be posted online. Many of the recent in-court and online transparency innovations by the courts thus far have also been restricted to case parties, requiring a password to access most information. Finally, unlike the more massive judicial reforms being piloted now and proposed in the courts’ new five year plan, this is the sort of change that can be done entirely within the judiciary. The legal basis for the Provisions is the Law on Judges, and it essentially is an internal policy document for regulating the courts, and not even aimed at hearing feedback on the procuratorate or public security organs. Like previous court reforms greatly improving transparency, such as the publication of many opinions online, internal reforms seem to happen more quickly. The estimated value for a full translation of this post is $248.88 USD at the below-market rate of $.06 per character, with 3,498 characters.